Mark Basurto, Attorney Manager of CogentEdge, has over 23 years of litigation and courtroom experience. He has tried over 50 jury trials and handled hundreds of evidentiary hearings in state and federal courts, as well as in arbitration with the American Arbitration Association, the National Association of Securities Dealers and JAMS. He brings to CogentEdge significant experience representing a variety of different professionals in malpractice cases and representing both publicly and privately held companies in high stakes litigation. 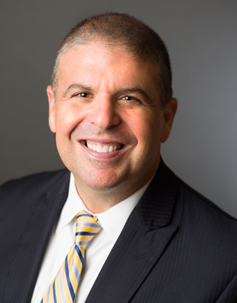 From his diverse experience, Mr. Basurto understands that even the most sophisticated professionals who get sued have difficulty speaking their truth because of fear, anxiety or a misunderstanding of the litigation process. As a result, his current witness preparation practice is focused on empowering professionals with the skills and confidence needed to take command of their own testimony and ultimately drive the case to a successful result. Mr. Basurto has attained an AV® Preeminent™ Peer Review Rating from Martindale-Hubbell, signifying the highest level of professional excellence. He is a Florida Super Lawyer (2013 through 2018) in the practice area of Professional Liability and was previously named to Florida’s “Legal Elite.” He is a former shareholder of Bush Ross in Tampa, Florida. He graduated from Emory University School of Law and is licensed to practice law in Florida and Georgia.